Strange how often it is ‘Education’ which provokes me that little bit extra – so that I not only formulate a response, but take the trouble [and the time out from my packed working day] to polish it a little and then post. This time it is last week’s debate on the length of school days and school holidays. If school is there to prepare us for something, to prepare us to be something. then maybe I care because that effectively poses the question “What are we for”. I think that’s the interview question that should be put to any aspiring education Minister. The answer forms, or should form, the basis of everything they then do in office. My own answer is that we are, to borrow from Kant, “ends in ourselves”. I think that the ‘point’ of every human being is to identify, and then work towards, what it is to be a better me. We have to live, we have to eat, make shelter and defend ourselves. We have to work together, sometimes in quite specialised ways, to realise not just those basic ends but also all manner of other wants and needs… some perhaps more real than others. To do this we have become dependent upon technology, its mastery and further development. We also have something called an economy, which makes the collaboration possible. But all those things are means, not ends. So if the idea of longer school days and shorter holidays is to enhance “the economy” then it misses the point. The economy is *us* and it is for *us*… all of us. To use education to promote the economy, as an end in itself, irrespective of the impact on all the other dimensions of our personalities and physical well-being, is to see us all as a means to create wealth, and not as “ends in ourselves”. It smuggles in, unexamined, the premise that economic growth solves all ills… including any which it may itself inflict along the way. Even if the premise is individual advancement… career, good job, accolades, professional success through more intensive education… it still misses the point if it does not balance these against the other good things in life… which include the balanced day or week, and periods of leisure and withdrawal and renewal. These are the same things that the long day/short holidays prescription for education is also in conflict with. The test of an educational system lies in its ability to equip us to become better people, and to carry on becoming better people. If that seems abstract, I think there is probably far more productive potential locked up in personal demotivation, stress, distorted relationships, addiction and substance abuse, mental health, and general lack of direction, than could be offset by a decade of technologically driven growth. This is the reserve which could be tapped by helping us all, and helping us all help each other, to be better people. An educational system which simply ramps up the pressure, industrialises the process, and creates more such disfunctions along the way, would have to guarantee a hell of a lot of economic benefits before it looked like a competing solution. 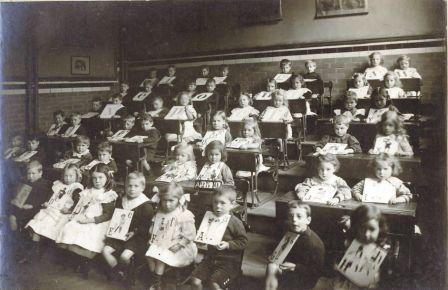 A radical reform of education would be one which, in step with a radical review of economic policy, had the courage to surface, and debate, the question, “What are we (all) for?”. I also hope that our educational syllabus itself, still has some room for that question.